Hello friends and welcome back for another episode from our brand new Quick Technique series! 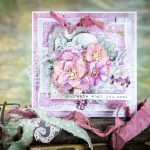 Today we are sharing a card created using S2-261 Swallow and Heart dies from the Joyous Celebrations collection from Sharyn Sowell (you can find more inspiration using dies from Sharyn here)! 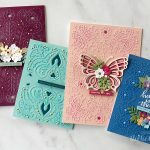 Cut cardstock panel to 4 x 5 ¼”, add a layer of double sided adhesive. Set Aside. 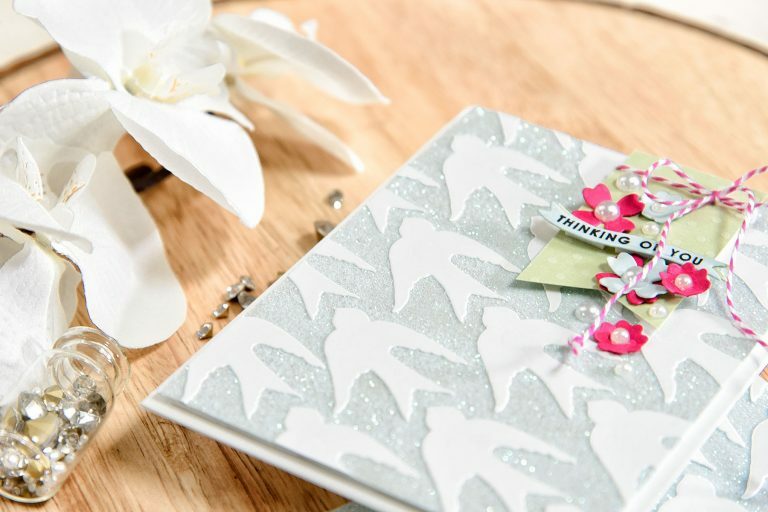 Die-cut about 15 birds out of white cardstock. 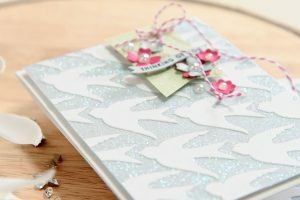 Adhere birds onto blue cardstock panel to create a pattern. Trim excess. 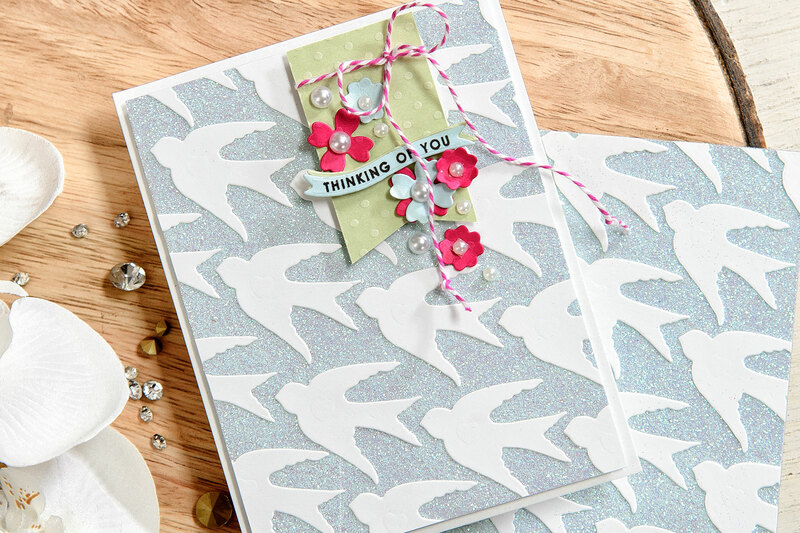 Add glitter onto the panel to fill in the gaps in between the birds. Burnish glitter in place. Wipe excess off with a dryer sheet. 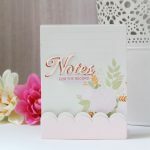 Create A2 top folding card base out of white cardstock. 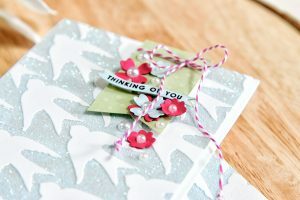 Cut cardstock panel to 4 x 5 ¼”, add a layer of double sided adhesive. Set Aside. 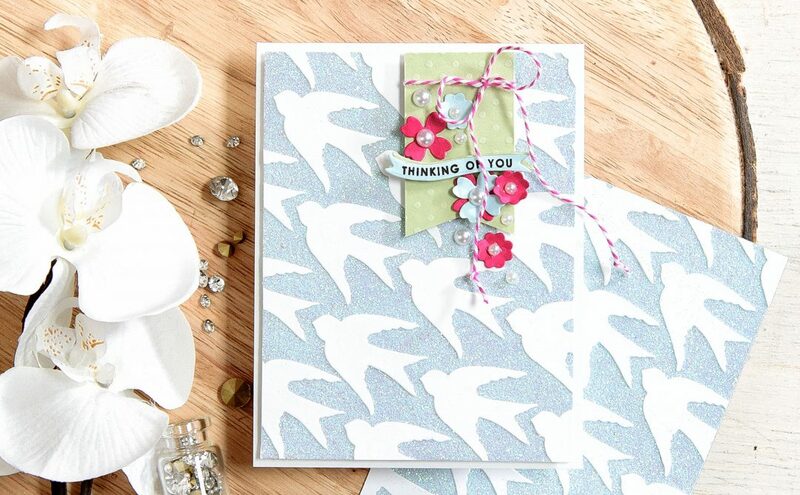 Die-cut about 15 birds out of white cardstock. 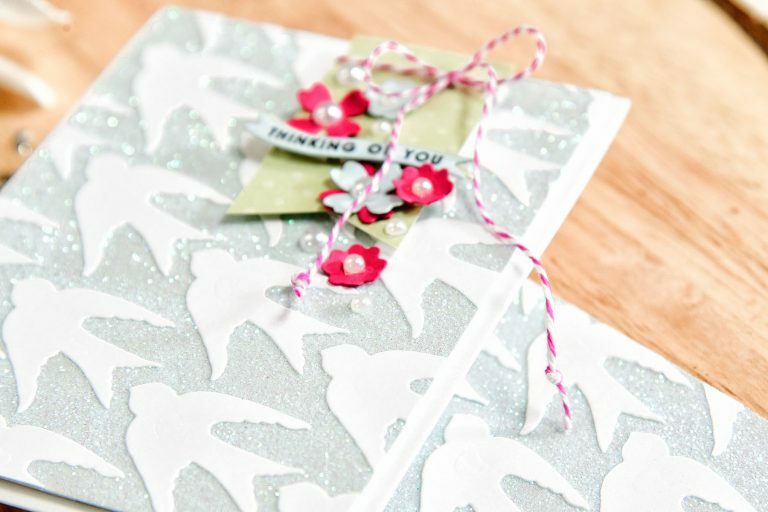 Add glitter onto the panel to fill in the gaps in between the birds. Burnish glitter in place. Wipe excess off with a dryer sheet. Foam mount panel onto card base. 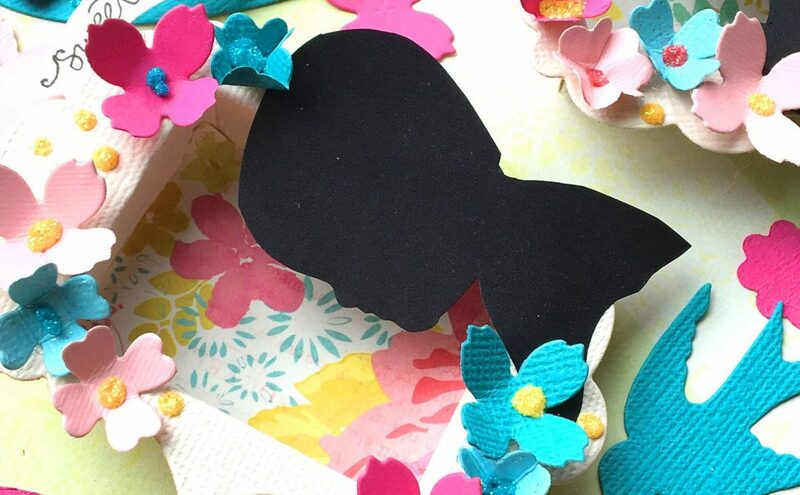 Cut banner out of green cardstock using scissors. Foam mount onto the card. 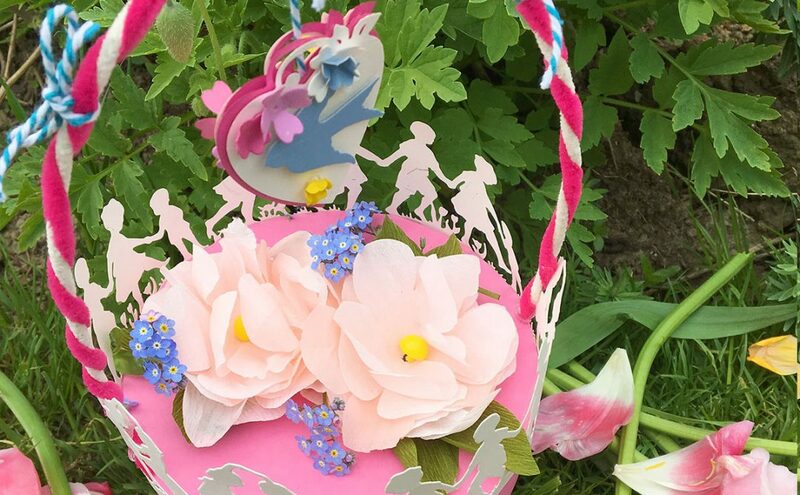 Die-cut flowers out light blue and pink cardstock. Die-cut banners out of green and light blue cardstock. Stamp sentiment onto light blue banner. Adhere onto green banner and offset slightly. 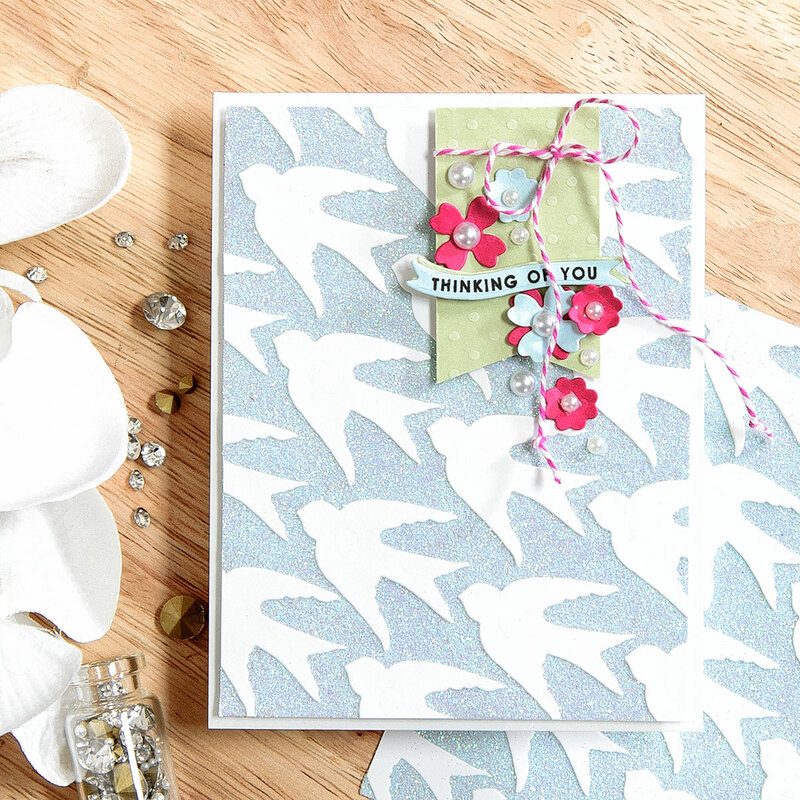 Foam mount onto the card. Add twine. Embellish with pearls. White cardstock (Neenah Solar White 110 & 80 LB); Colored Cardstock (Simon Says Stamp – Sea Glass; Bazzill Basics – Dotted Swiss Celtic Green; My Colors Cardstock – Watermelon Pink); Fun Foam; Tape Runner; Foam Adhesive; Thermoweb Easy Cut Adhesive; White Iridescent Glitter; Twine (Doodlebug – Bubblegum); Self Adhesive Pearls; Clear Stamp (Altenew – Thinking of You); Black Ink. Have you ever tried this technique? Will you give it a try? Let us know in the comments below! 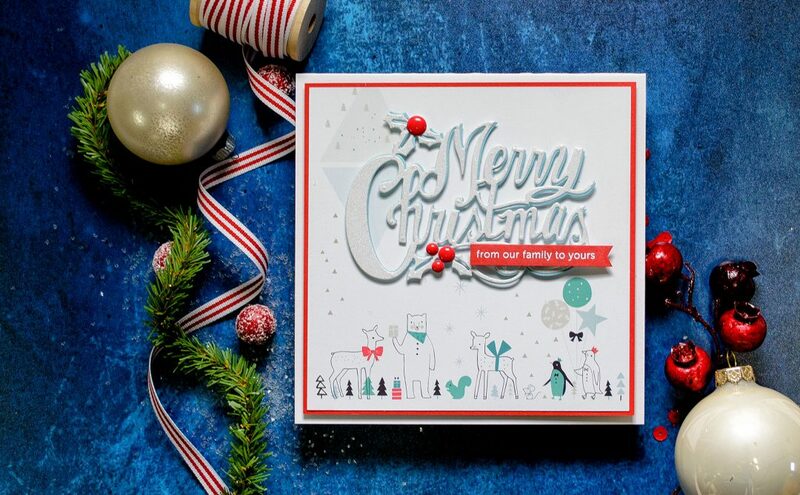 And have fun die-cutting! That’s a great CAS card. I didn’t know this technique and I will probably give it a try. Thanks for sharing !